Most people know that staying hydrated is an important part of a healthy lifestyle, and it's even more important in the summer. 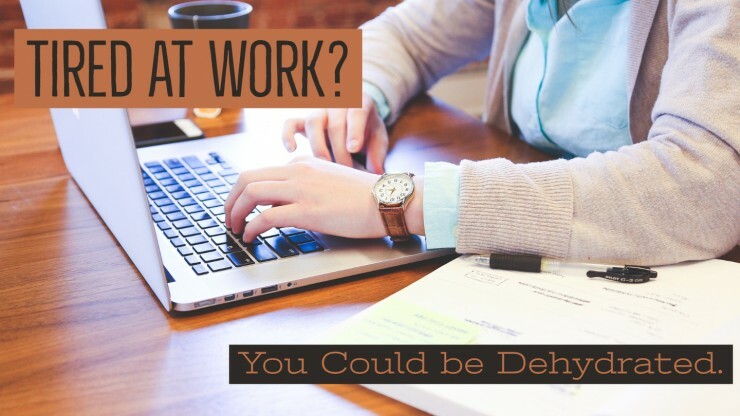 But what many people don't know is how easy it is to become dehydrated, and how even mild dehydration can take a toll on your day. In an article published by NPR earlier this week, reporter Allison Aubrey discusses the often unknown side effects of mild dehydration, including lowered ability to concentrate and mood changes. Although, "most people can't perceive that they're 1.5 percent dehydrated ... they are [already] subtle - maybe even imperceptible - effects on our bodies and our mental performance." Although that may not sound like a lot, this level of dehydration is equivalent to sweating out one liter of water and can occur in as little as 30 minutes, according to Doug Casa, a professor of kinesiology at the University of Connecticut. The obvious way to avoid these symptoms is by staying hydrated. But because many people can't perceive mild dehydration, Aubrey says, "a good rule of thumb is to sip fluids throughout the day." And America's beverage companies are here to make sure what you're sipping is hydrating and delicious. They're stepping up, voluntarily, to offer more low- and no-calorie beverages, with less sugar, in smaller portion sizes. They're also working with stores to stock a variety of products, to make sure everyone in your family can have the beverage of their choice wherever you go. All to help families balance what they eat, drink and do and live healthy lifestyles. So next time you're feeling sluggish at your 3 pm meeting, grab your favorite beverage to sip on because you may be dehydrated and not even know it.